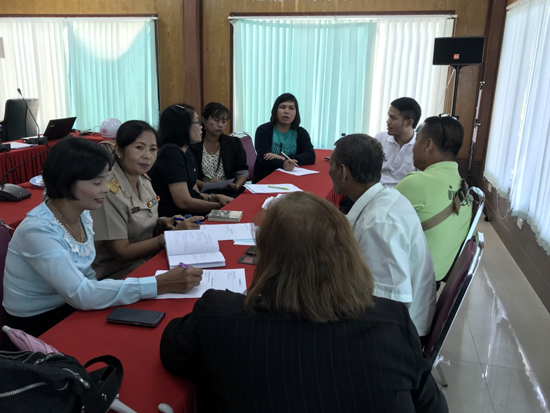 There also were 8 representative schools attending the meeting namely – – Wat Klang school, Wat Pa-O school, Baan Daan community school, Sri Wichai Buddhist House school, Baan Kuan Nieang school, Wat Neon Pichai school, Baan Na Kuan Lung school, and Baan Klong Wa school. 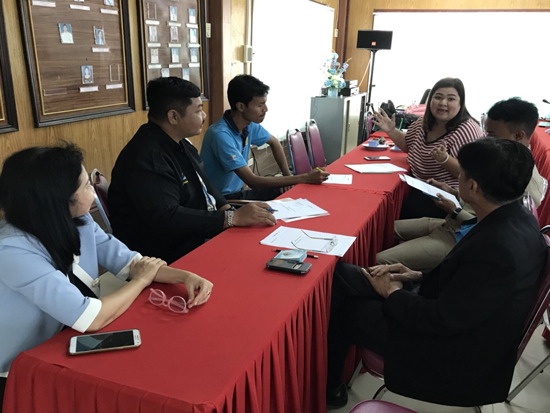 Visiting all those 8 schools was conducted by CSIP after the meeting in order to gain student information from more than 500 students. 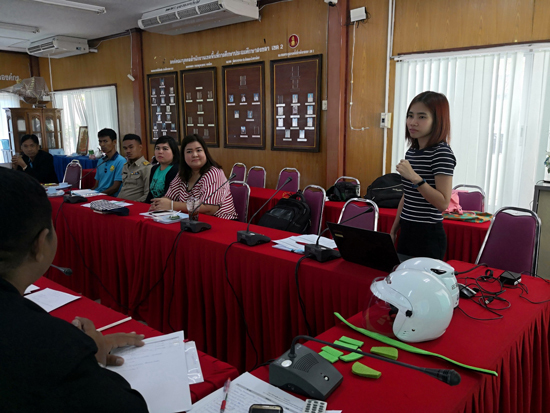 Depth interview was administered for screening students who were corresponded to the criteria of receiving helmet. 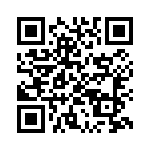 Sample of such criteria was travelling by motorcycle but don’t have own helmet or have only damaged helmet. During visiting, CSIP also educated students about the importance of wearing helmet and measured individual student’s head. 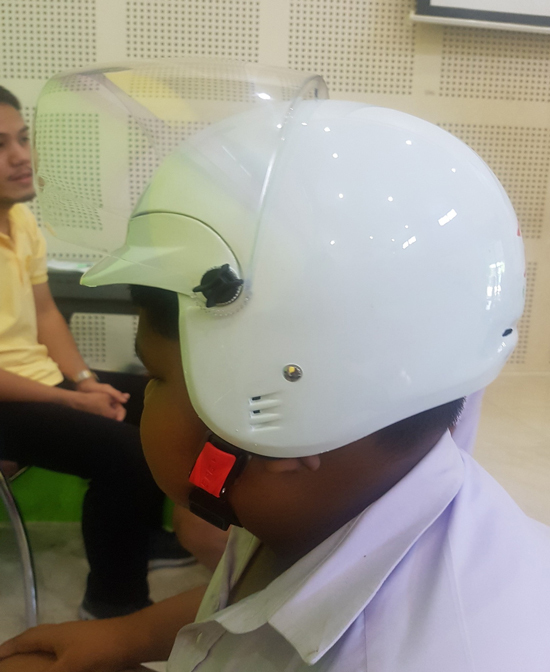 The measurement of student’s head brought about because the helmet provided to students is determined to have ‘helmet fitting pad’ under the new edition 2014 TSI standard of Thai Industrial Standard Institute, the Ministry of Industry. 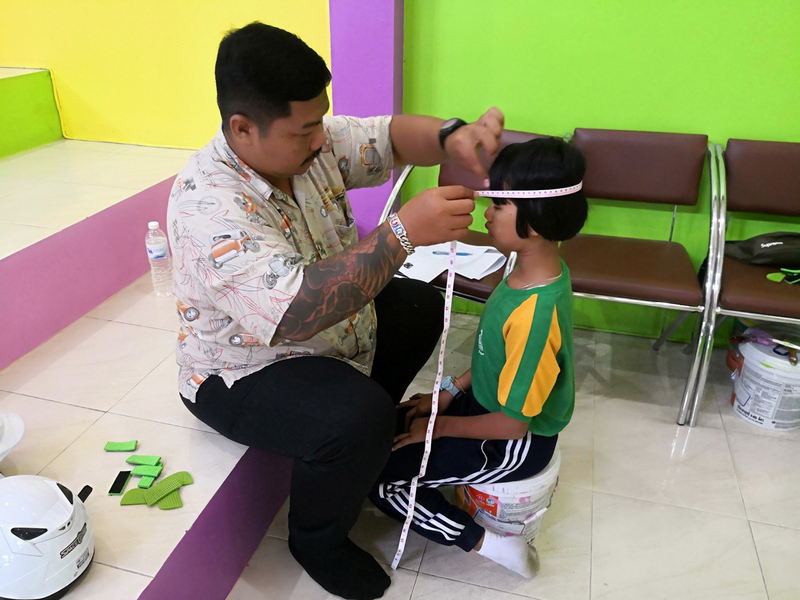 CSIP paid an attention to the depth interview and head measurement so that the students will have a helmet fit into their heads as much as possible. 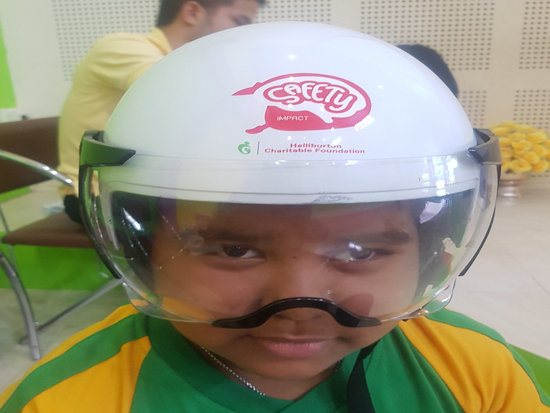 In October, 2018, CSIP and Halliburton will give the helmets to students under this project and educate them individually to ensure that they understand how to wear helment correctly, realize the importance of wearing a helmet, promise to wear a helmet when travelling on a motobike, and maintain the helmet in good condition and ready for use all the time. 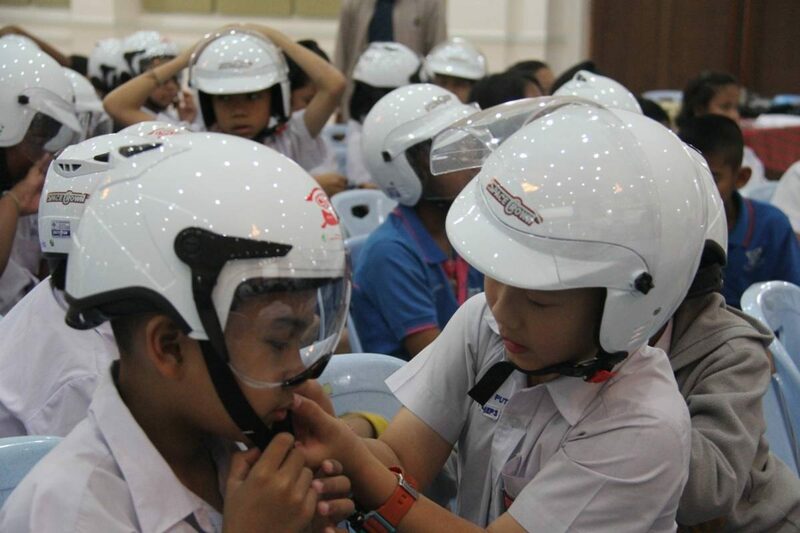 Meantime, to ensure that the schools will keep supporting and promoting students in wearing helmet always. 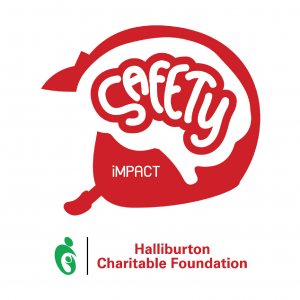 “C & H Anti-Knock: Child Brain Safety)” project supported by Halliburton (www.halliburton.com) and Safe Kids Worldwide (www.safekids.org) from 2017 till now.